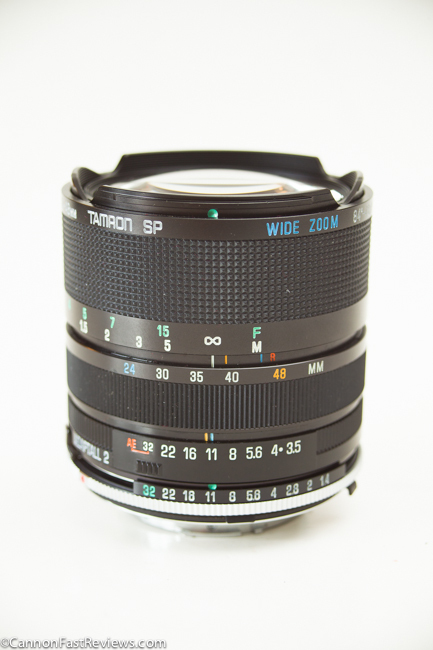 This Tamron SP 24-48mm f/3.5-3.8 lens is a really great lens in every way and can even be adapted to almost any SLR camera mount with the use of their Adaptall 2 mounts. The most trouble you will have with this lens is finding one with the original front lens cap and the front element not all scratched up. Posted in 24mm Lens, Adaptall 2, Blog, Good Landscape Lens, Standard Lens, Tamron Lens, Wide Angle Lens, Worth Looking For, Zoom Lens and tagged with Nikon Canon mount, Sharpness, Tamron 24-48mm, Tamron Adaptall, Tamron Review. RSS 2.0 feed.